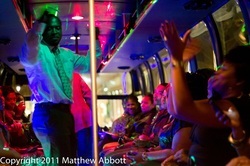 SUGAR RIM BAR'S PRIVATE ADULT FIELD TRIP PARTY BUS!!! SUGAR RIM BAR ADULT FIELD TRIP PARTY BUS!!! Sugar Rim Bar will host a Private Adult Field Trip Party Bus. Pickup/Drop off location will be at The National Harbor in Oxon Hill Md. Bus will arrive at 9:45 pm!! Tickets are $30 per person. Ticket price includes: Pick up from designated location, Boarding Pass on the Bus, Open Bar, Free entrance into selected bar/lounge/club, and safe return to pick up locations. PLEASE BRING YOUR PAID CONFIRMATION AS YOUR BOARDING PASS FOR THE PARTY BUS ALONG WITH YOUR ID!! !